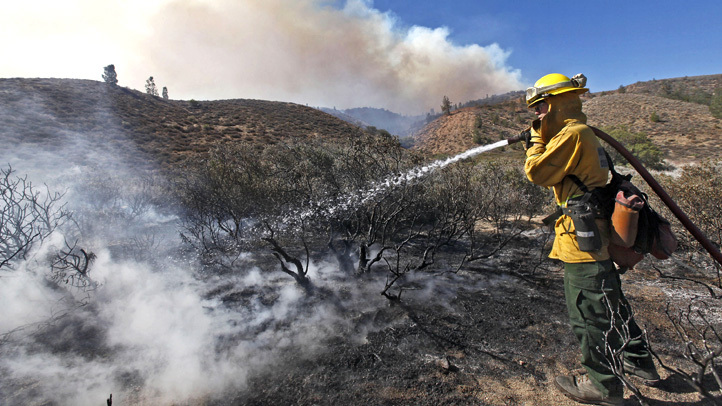 Firefighters extinguished a 21-acre brush fire in the northeastern San Fernando Valley Tuesday morning. The fire was reported around 11:25 p.m. Monday in the 10500 block of Woldrich Street near the Foothill (210) Freeway, the Los Angeles Fire Department reported. 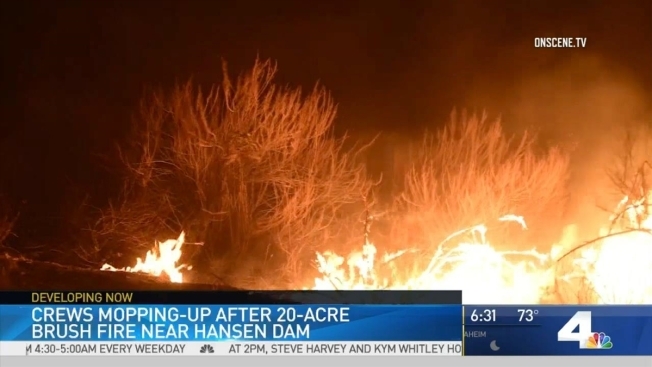 Firefighters battled the flames through the night on the ground and with helicopter air drops. The flames were extinguished about 4:30 a.m., according to the LAFD. No injuries were reported, and no structures were damaged. As a precaution, the California Highway Patrol closed the Wheatland Avenue onramps to the Foothill Freeway. The roadways were reopened about 7 a.m., the CHP reported. Firefighting helicopters soared above the San Fernando Valley overnight, dropping water on a brush fire that burned near Hansen Dam Tuesday Sept. 27, 2016.